On 04 June 2017, 12th Yr. AIDS/Lifecycle Cyclist, David R. Sears III. & 20th Yr. California AIDS Ride / AIDS/Lifecycle Cyclist, Anthony [Tony] Eason biked among 2,500 other cyclist in the largest AIDS Fundraising Bike Event in the world – AIDS/Lifecycle. 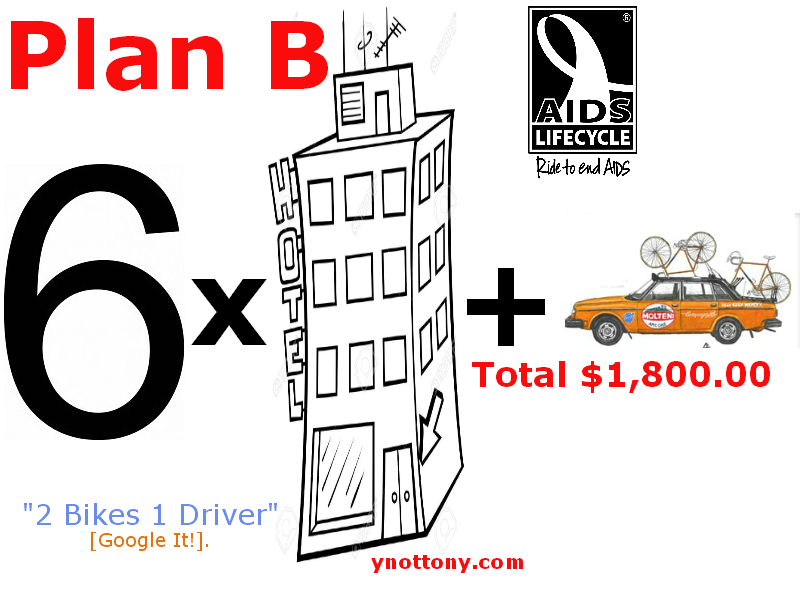 Each year they both have enjoyed raising well over their $3,000.00 per cyclist minimum to participate in San Francisco’s AIDS ride. However, after 20 years of community service, this year marked Tony’s last & final 545 mile, 7 day bicycle ride from San Francisco to Los Angeles in the fight against the AIDS Pandemic. After 32 years [combined] of persevering through wind, rain, cold temperatures & snoring, David & Tony had dreamed of avoiding the 7 consecutive days of life in a tent city by having their own Mercedes Sprinter sleep vehicle & bike support driver. 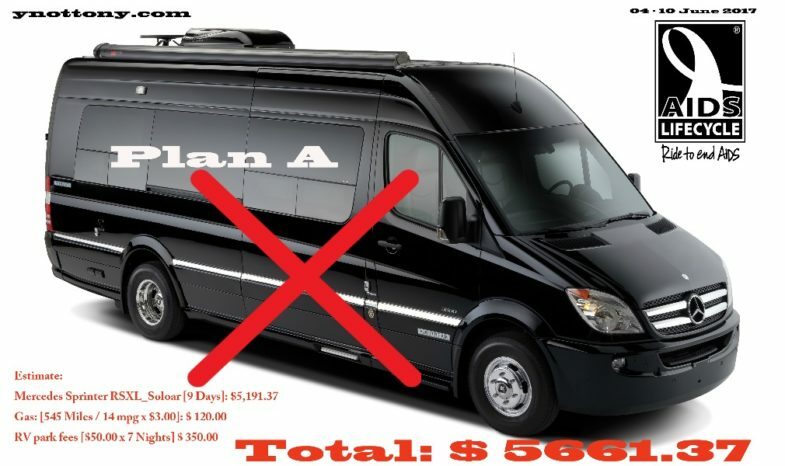 Instead of $5,662.00 [Mercedes SprinterSleep Vehicle & Driver] they Spent $1,800.00 [6 Hotel Rooms, SUBURU S90 & Driver] to “GO OUT IN STYLE!